My visit to Sylvia’s restaurant was at the tail end of lunch and I asked to be seated in the perfect place to get recommendations - at the counter! 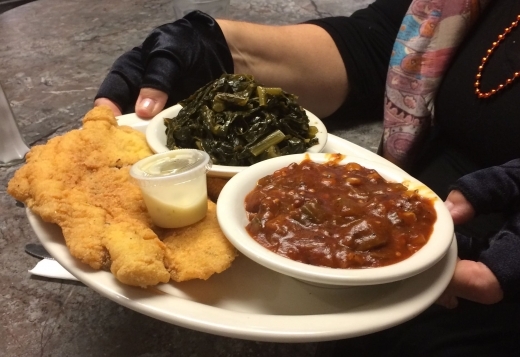 I asked the woman to my right what she suggested from the fish offerings and she smiled as she answered,“The catfish and you must try the collard greens side." I took the suggestion and added a side of okra. I wasn’t aware at the time that I asked Sylvia’s granddaughter. When her lunch arrived I saw a preview of mine! I love day tripping in rural areas. Driving down desserted roads, seeing farm silos and hand crafted road side signs make me feel away. Every so often I come across self serve markets where you select your items in an unmanned store and pay on the honor system. 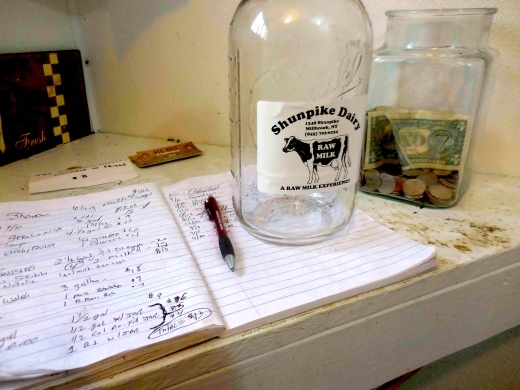 At Shunpike Dairy I poured my own raw milk, selected eggs and cheese and then wrote down my payment after dropping it into the jar.